A24 in your eardrums. No host, no ads, no rules. From the people behind Eighth Grade, Hereditary, Lady Bird, Moonlight, The Witch, The Lobster, Ex Machina, and more. Topics covered include: the surreal experience of overnight fame, Spanish movie marketing, establishing boundaries, theater people, drinking beers with Elaine May, Jonah's fear of winged animals, on-demand pushups, degenerate gambling, and why everyone should own a digital copy of Mid90s. Topics covered include: the process of scoring a film, growing up in a house filled with music, cinematic rhythm, cheesy scores, creating the sounds of an urban nightmare, and why electronic music is the best game ever. Topics covered include: the highs and lows of being a young actor, Elsie’s audition for Eighth Grade, Bo Burnham’s Vine career (RIP), why social media should have stopped at Myspace, the impossibility of not saying “Um” and “Like,” Dungeons & Dragons, the Golden State Killer, coming-of-age on screen, and why we never stop craving connection—regardless of age. Topics covered include: their new film Blaze, summers in Nova Scotia, art that tells the truth, the beauty of beginner’s mind, Alia’s painting, career advice from Steve McQueen, and the importance of giving it all away. Topics covered include: Paul's unexpected career trajectory, ambiguous endings, stealing from the best, the challenges of writing without "nighttime additives," and what it took for Paul to finally make First Reformed—the movie he’s been waiting his whole life to make. Topics covered include: the internet, teenagers today, how to talk about a moment that is already a parody of itself, the FKA Twigs/Anderson .Paak/Spike Jonze Apple ad, whether or not Deadpool gets it, why Jerrod hasn’t seen Bottle Rocket, the filmmaking of Steve McQueen, Jerrod and Bo’s dispositional differences, Snoop Dogg’s new gospel album, the performance of an interview, and the value of not being present. Topics covered include: Elena Ferrante, medieval triptychs, things that make Greta uncomfortable as a viewer, shooting through fog machines, the skirts of Isadora Duncan, fast-talking ladies, Grey Gardens, the possibility of a giant bad mess, budgetary constraints, Sacramento, the special birthday plate, and the YMCA aerobics class on 14th Street where Greta discovered her calling. 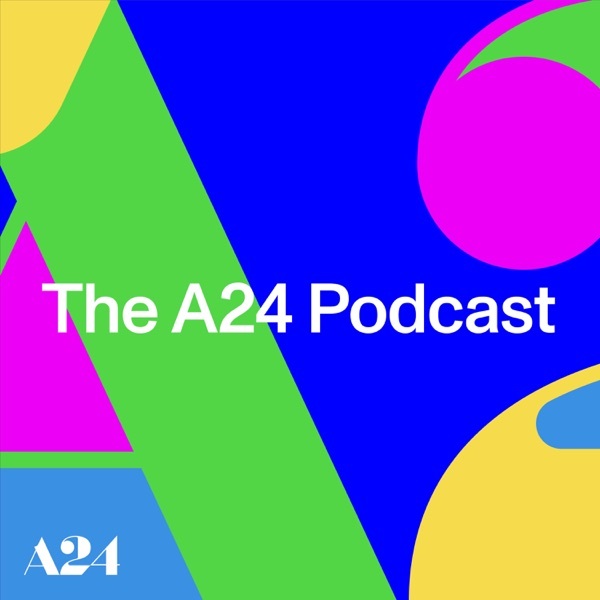 A new podcast from A24, featuring conversations with our cool(er) friends and other audio experiments. If you love our movies, subscribe now and get A24 in your eardrums.